Poliomyelitis or Polio has been one of the curses of the 20th century, crippling Millions of children for life from all over the world. According to the World Health organization, the tragic disease was endemic in more than 125 countries in 1988, when there were more than 350,000 poliomyelitis infections. Thanks to one of the world’s most ambitious vaccination campaigns in the history of the world, this horrible disease has declined today by 99 per cent in less than a quarter of a century. Last year, there were only 650 cases and that too only in 3 countries namely Nigeria, Afghanistan and Pakistan. The medical journal Lancet says that in Pakistan last year, number of polio cases have actually increased from 2010. Last year Pakistan reported 198 cases in total as compared to 144 cases reported in 2010. Officially, conflict, poverty or resistance by extremists are considered as the main reasons that hamper efforts to make polio the second human disease after smallpox to be eradicated. This is not exactly true, according to me, if we consider the Indian experience of the past. In India, after an successful awareness campaign, even the poorest of families made a bee line to the Polio vaccination centers under Poilio Pulse campaigns, launched twice every year, when all kids below 5 were given free booster doses of the vaccine. The biggest obstacle in eradication of Polio today is the stubborn refusal of die hard extremists in Pakistan's border lands with neighbouring Afghanistan. 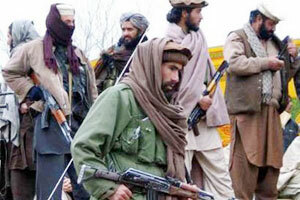 The Taliban banned immunizations in the tribal region of Waziristan in Pakistan, condemning the campaign as a cover for espionage after it was found that the doctor who helped the CIA find Osama bin Laden, was using hepatitis vaccination programme, as a pretext for staying in Abottabad and was jailed subsequently by authorities in Pakistan. Besides, Taliban religious leaders in Pakistan are also promoting anti polio vaccination views. 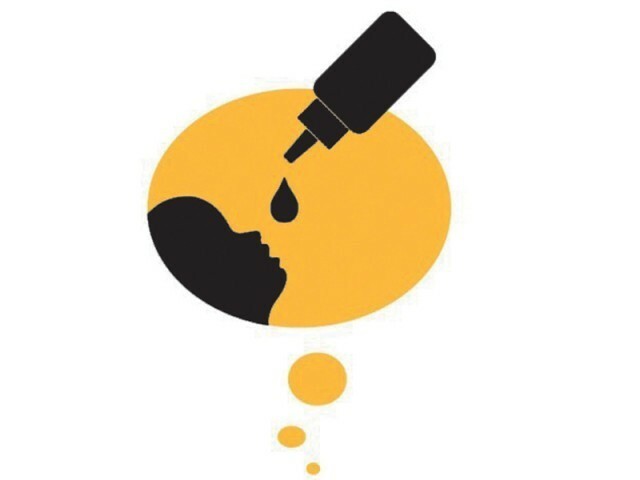 This was mentioned by Pakistan's president Asif Ali Zardari during his meeting with representatives from international partners in the fight against polio, when he said that clerics were also aiding anti-polio efforts. In Waziristan border region, the Taliban have come up a fantastic story that the polio campaign is a cover for espionage and to protest against US drone strikes they have banned the vaccinations. As usually happens in these lands, these radical views of some extremists, are now rapidly getting transferred into acts of violence against easiest of the targets. The innocent aid workers, who are actually trying to help polio vaccinations have been murdered in broad daylight. Not only the aid workers are under life threat in border areas of Pakistan: latest attacks on these have happened in the major cities of the country. A UN doctor from Ghana working on polio eradication and his driver were shot in Karachi earlier and three days later a local community worker who was part of the same campaign was shot dead in the same area. On 18th December 2012, four women helping with the vaccinations were killed in less than an hour in seemingly coordinated attacks in Karachi. Another woman was killed on the same day in Peshawar, which lies close to the tribal border area. 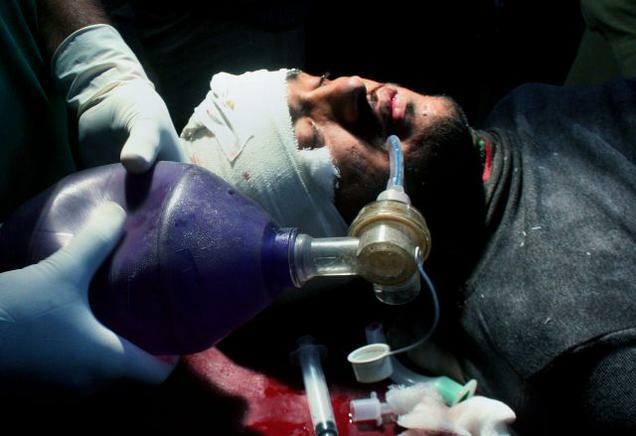 On 19th December 2012, another woman and her driver involved in the polio immunisation campaign were killed in the north-western town of Charsadda (Khyber Pakhtunkhwa), taking the toll of such killings across the country in the past two days to seven. I am quite sure that readers would be shocked and numbed by these attacks on innocent female workers doing their job to help children of Pakistan and that to in far away places like Karachi from the troubled border areas. It seems to me that these people, who are opposing Polio vaccinations under some pretext or other, are actually digging their own grave as there is a huge possibility now that this horrible disease, already on upswing in 2011 would start spreading wildly over next few years as not many would be willing to administer Polio doses publicly. The real problem is that if Polio becomes endemic in Pakistan, how can Pakistan's neighbours like India and China can insulate themselves. Two years back, Polio cases were suddenly observed in China's Xinjiang province after a gap of 10 years and all the cases were traced to Pakistan. Fortunately Chinese health authorities managed to restrict and control the spread of the disease. India and China, both would have to be on guard and see that no polio affected case enters from across the borders. With the new liberalized Visa procedures, India need to be even more vigilant and careful.